Video content management systems (CMS) allow businesses to organize, share, modify, and distribute video files for both internal and external use. As video content grows increasingly prominent in marketing, education, and entertainment, video CMS software provides a specialized storage and workflow hub for these files without other documents or media getting in the way. These platforms are primarily used in creative departments of organizations to oversee the status of each video, assign tasks related to individual videos, and publish or stream completed videos in the appropriate channels. Video CMS tools can also offer analytics related to individual video performance, as well as help drive decisions related to editing, sharing, and future video projects. In some cases, other departments in the company will have access to video content for training or marketing purposes. In addition to tagging and organization of videos, video CMS tools often assist with encoding and transcoding videos for use on different platforms, monetization of videos through ad and click features, and scheduling or automation of publication and removal. Video CMS software typically integrates with major video hosting platforms in order to publish or stream video files, as well as certain social networks and web content management platforms. A number of video CMS products also offer video hosting capabilities without the need for additional software. Additionally, video CMS software may provide integrations with digital asset management, video editing, and corporate LMS software, and certain video CMS tools offer video editing features of their own. Creative teams can utilize business content management software to maximize collaboration efforts related to video projects. 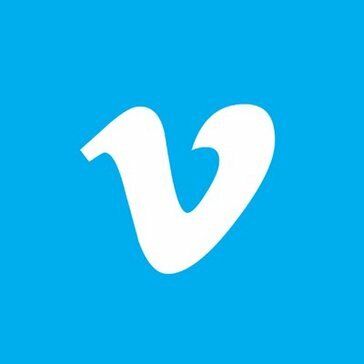 Video CMS reviews by real, verified users. Find unbiased ratings on user satisfaction, features, and price based on the most reviews available anywhere. Panopto is the fastest-growing video platform for training, teaching, and presenting. Since 2007, we’ve helped businesses and universities improve employee productivity and student achievement through the use of video. Fortune 1000 companies and leading academic institutions, including GE, Qualcomm, New York Life, Duke, Stanford, and Oxford, use Panopto to capture training videos and lectures, live stream events, and share their videos with a secure, searchable, YouTube-like portal. For 3 years running, Panopto has been recognized by Gartner as a leader in enterprise video content management. Hippo Video is a next-gen video marketing platform for business. Hippo Video brings in-video & hyper video personalization to sales outreach & marketing automation workflows. Hippo Video has custom workflows for marketing, email campaign, sales, and customer support processes. Hippo Video is the one-stop solution for everything video that delivers deep user insights to bring in more qualified leads and close more sales deals. More than 5000+ businesses worldwide use Hippo Video for their business video needs. Cloudinary is the image back-end for web and mobile developers. An end-to-end solution for all your image-related needs. Kaltura's mission is to power any video experience. Cincopa is a video and media hosting platform for business. A powerful way to stream live video. Ustream offers cloud storage, multi-screen compatibility and customized video embedding. VdoCipher is the complete video streaming solution for e-learning, media and marketing businesses. PlayerLync is a mobile learning and operations software that integrates content distribution, e-learning, and paperless operations into a single solution that helps the front-line deliver exceptional customer experiences. PlayerLync’s leading learning technology is built for organizations just beginning to grow their brands, all the way to leading restaurant and franchise systems. PlayerLync is modernizing training and store operations for leading enterprises like Chipotle, Red Robin, Blaze Pizza, Starbucks, Crocs, Talbots, and more. Mediasite Video Platform is an automated and scalable system for creating, publishing, searching and managing all videos. Ooyala is unlocking the true revenue potential of digital TV. Vbrick Rev enables organizations to securely and efficiently deliver high-quality live and on-demand video to tens of thousands of viewers both on the corporate network and externally via the public internet. Rev allows you to centrally manage video assets, user access and permissions, network delivery devices, and video publishing and distribution—in the most bandwidth-efficient way possible. Vbrick Rev offers the most advanced and secure enterprise video platform that delivers the scalability and performance required for a globally distributed workforce. Rev brings the power of live webcasting, video recording and mass audience viewing to any device, anywhere in the world. Only Rev includes a native enterprise content delivery network that ensures your organization’s video transformation scales without negatively impacting your network. MediaPlatform's webcast services and video portalsoftware enables high-impact interactive presentations and on demand video for lead generation, corporate communications and training. Uscreen offers the all-in-one solution for building your own video on demand service and selling your videos online, and we’ll never charge you commissions. uStudio is an enterprise video platform company. We help organizations tap into the business value of video (live and on-demand) across sales, marketing, learning, training, service, and support initiatives. Video Insight is aimed at making the entire video management suite more intuitive, more powerful and easier to use. Big Easy One is the product development division of the Bold Endeavours Group Ltd. The original company was set up in 1992 during the green screen days of the Internet with a clear mission then and now to “deliver outstanding business solutions for the digital world”. The Company and its founders have always understood the the internet’s trajectory identifying growth sectors at the earliest stages. Big Easy One has, for over a decade, served specialist vertical market sectors with its own class-leading video platforms for CMS, Video Libraries & DAM systems. Blackbird is a complete cloud video platform for capture, editing, and playout. BridTV Video Platform is a enterprise video platform for video management, streaming, encoding, and monetization. damdy is a SaaS software publisher specialised in Marketing Resource Management and Enterprise Video Platform solutions. Relying on Microsoft Azure cloud technologies, damdy provides targeted audiences with management, conversion, streaming and digital content enhancement services. Dream Broker Studio is an easy-to-use, cloud-based software for managing the whole life cycle of online videos. Designed for end-to-end workflows, it enables every employee to easily create, edit and share online videos, both on the desktop and on mobile devices. Ensemble Video is a turnkey video platform that streamlines video capture, video management and video publishing on our flexible deployment options in the form of Self-Hosted, Cloud-Hosted, Hybrid-Hosted and Multi-Tenant (consoritum hosting) models. KZO Enterprise Video Software is a Video Content Management Platform that helps organizations create and annotate video content tailored to the situations that their employees encounter the most, while making it easy for employees to quickly find and access the content on any device or from within key applications to facilitate just-in-time learning. Glue Media Publishing System specialises in video streaming, online radio, podcasting, media asset management and media application development for devices such as Smart TV, mobiles, Roku, Google Chromecast and Apple Airplay. GoEssential enables companies with comprehensive video content to deliver an outstanding discovery and viewing experience on their website. The Haivision Video Cloud automates the ingest and publishing workflow – from file selection, to transcoding, to the application of asset types. Ingest source content with metadata applying watch folders, feed readers and ingest adaptors. iconik makes sharing and collaborating on media effortless, regardless of geographic location. Limelight Video Platform is the fastest and most intuitive way to manage and distribute online video to media devices everywhere. MediaNest represent a number of out-of-home media products nationally; selling media and managing, coordinating & reporting on projects for advertising agencies and direct clients, locally and interstate. Sekindo provides advanced technological solutions for both affiliate and ad networks markets. Using Publitio you can easily move all your website's images and videos to Publitio's cloud infrastructure. Automatically perform smart image or video resizing, cropping, merging, overlay, watermark, rotations and perform format conversions. The Qumu platform enables global organizations to drive employee engagement, increase access to video, and modernize the workplace by providing a more efficient and effective way to share knowledge. ScreenLight provides an easy way for production companies, advertising agencies, and editors to privately share videos and collaborate on video projects. ScreenLight projects are online workspaces where you can invite team members and clients to watch project videos and provide feedback. Simian. Media Sharing. Evolved. Entertainment and marketing companies rely on Simian to collaborate, present, share and track media assets …smarter. With StageClip event organizers and videographers to instantly create and distribute personalized video clips of their attendees in mass participation events. TubePress is a video gallery software for adding beautiful video galleries to any website. TVPage combines the art of brand marketing with innovative technologies that enable you to drive revenue with video. VIBBIO is an AI enabled video marketplace. A growing number of brands trust VIBBIO with all their video needs. VIDIZMO provides comprehensive live and on-demand video streaming, storage and delivery solutions to enterprises. Enterprise YouTube provides organizations a secure, powerful, and easy-to-use, branded enterprise video streaming platform & streaming video portal that empowers departments across organizations to independently store, encode, manage, share, and stream video as well as digital media content to both internal and external audience. A marketplace for video editors. ViMP is the professional Video CMS for WebTV, Video Communities and Social Media Portals. YuJa delivers a comprehensive active learning experience to the education enterprise. Powered by our YuJa Cloud – a high-performance video delivery and management system – we enable instructional delivery models that blend lecture capture, live broadcasting, social learning, video collaboration and media management into a rich educational experience. Evolphin is a media asset management company that specializes in video pre and post production for diverse verticals including Media and Entertainment, Broadcasting, and Advertising. Evolphin Zoom manages the total lifecycle of any digital asset. Our products are visually intuitive, supported on multiple platforms and together provide an intelligent solution for managing video and media, versioning, workflows, collaboration, review & approval, and archiving - all supported by detailed analytics. Hi there! Can I help you find the best Video CMS solutions?